Jeremy Irons attending the opening reception of the 2012 Art Market Budapest on 7 November 2012. Magyar Radio- What captures you? 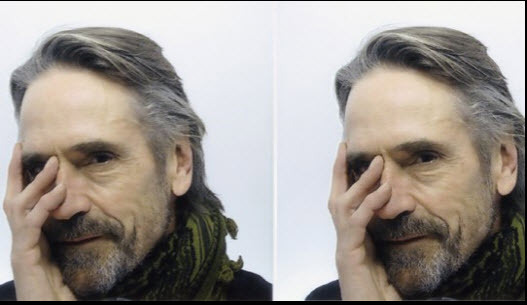 Jeremy Irons- It’s very personal I think what captures you in art. The great thing about this show is the different artists. That so many different artists’ work are exhibited so I would be very surprised if somebody wouldn’t find a piece that he likes. It’s fantastic even if sometimes the meaning of two objects next to each other is completely different. It’s true that there’s only one or two objects from the same artist, but you get inspired. For example, I saw a painting from this artist from Budapest and I’ll ask for further information about where I could find more of his works. So, I hope that everyone who has an opportunity, not only from Hungary, but from Austria, Poland, Slovenia and Slovakia will come and see these pictures and will find something they like. What that thing is is personal. I was captured by a picture because it was created in such a beautiful style. There are colours in it and it tells a story, it conveys a feeling. But my taste is not everybody else’s. Magyar Radio- I was wondering if artists can be distinguished on the basis of where they are coming from. Which country or region? Jeremy Irons- No, I don’t think you can identify their origin. If you see the pictures in the National Gallery here in Budapest, you will see something similar as in Prague. You can feel some Central European effect that you won’t meet in Paris or London at artists from the same age. Maybe the approach was more romantic. But as for modern artwork, it’s very difficult to distinguish. Perhaps, there’s some kind of humour in the Central European art that you can’t find in the same form in Western Europe. Humour I like. Magyar Radio- Working here you perhaps gained some personal experience about this mentality? 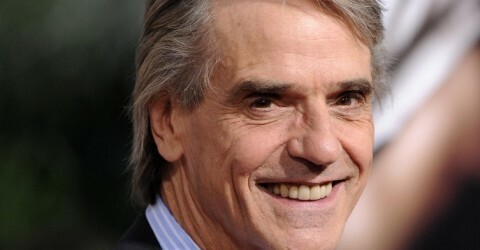 Jeremy Irons- Yes, to a certain extent. And I am very happy that I could experience it.